"The electronic cigarette gives the impression of smoking, while not emitting the thousands of chemicals that cause health problems like cancer. The only chemical you consume is nicotine, and water vapor replaces the harmful smoke that emanates from cigarettes. Nicotine is in nearly all food sources." "US News and World Report"
OFFICIAL STATEMENT FROM "US NEWS AND WORLD REPORT"
"It looks like a cigarette, delivers nicotine like a cigarette, and even puffs "smoke" like a cigarette (actually water vapor.) But an e-cigarette doesn't have any of the tobacco or additives of a cigarette. It's just a battery-charged cartridge." Imagine a world where adults can enjoy their MicroSmoke and coffee right from their office at work, or in the restaurant after dinner, without the guilty feelings (and the "looks") that come from smoking cigarettes around others. Imagine instead the looks of surprise (and envy) from others when you enjoy your e-smoke in public. "Tobacco smoke causes nearly 90 percent of lung cancer deaths. If it is a choice between smoking tobacco product or a nicotine replacement -- of course, keep taking the nicotine," Schroeder said. "It is a heck of a lot healthier than tobacco smoking." 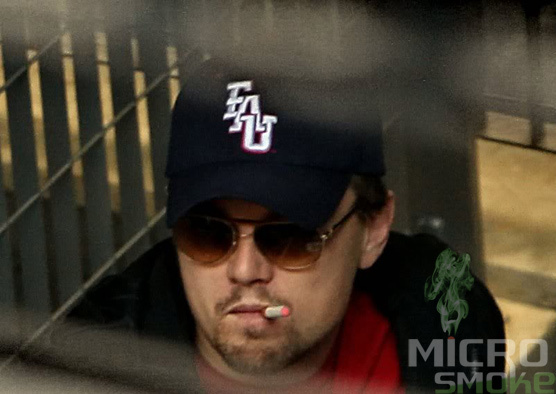 Other celebrities who have been seen puffing an e-cigarette include Leonardo Di Caprio, Kate Moss, Paris Hilton, Kevin Connelly, Twiggy, Posh Spice, Kevin Federline, Naomi Campbell, Britney Spears, Eric Roberts, Simon Cowell, Sarah Harding, Taryn Manning, Rhys Ifans, and Tom Petty.